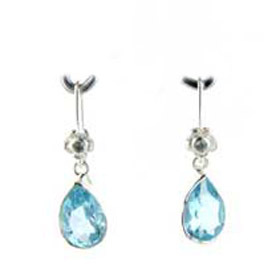 There's something special about blue topaz earrings. 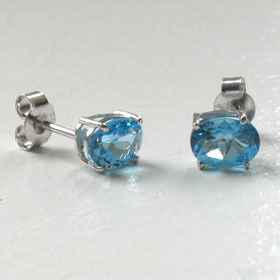 Whether swiss blue or sky blue, they have magnificent sparkle and colour intensity. 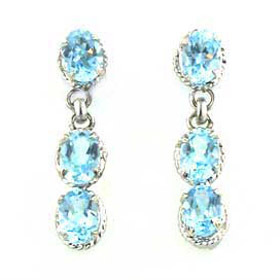 These faceted blue topaz gemstone earrings in drops and stud and drop styles will add some discreet glamour to your outfit. 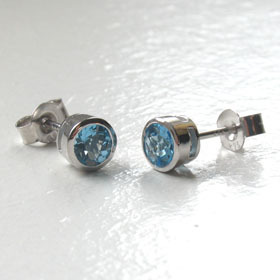 Our blue topaz silver earrings are November birthstone earrings. 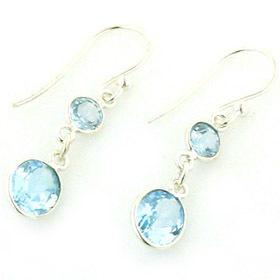 Treat yourself or someone you love to some silver blue topaz earrings and maybe a blue topaz pendant too!